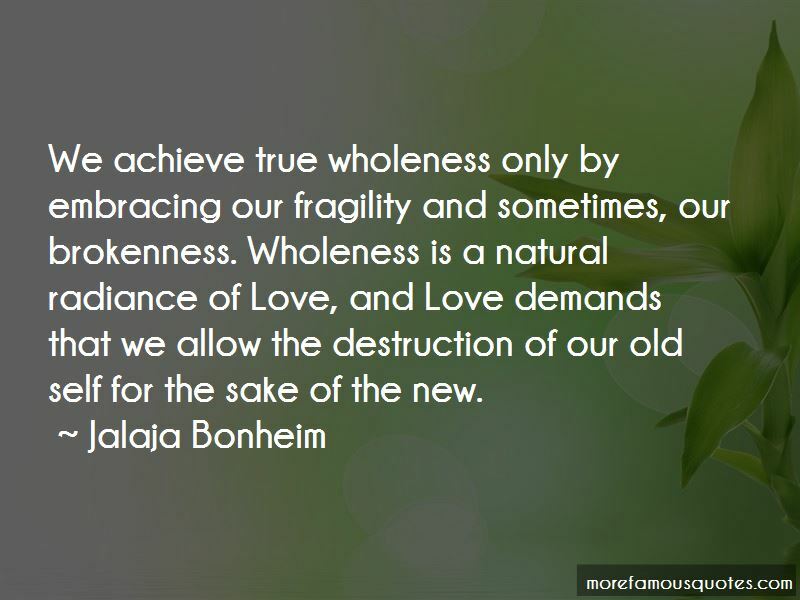 Enjoy the top 7 famous quotes, sayings and quotations by Jalaja Bonheim. 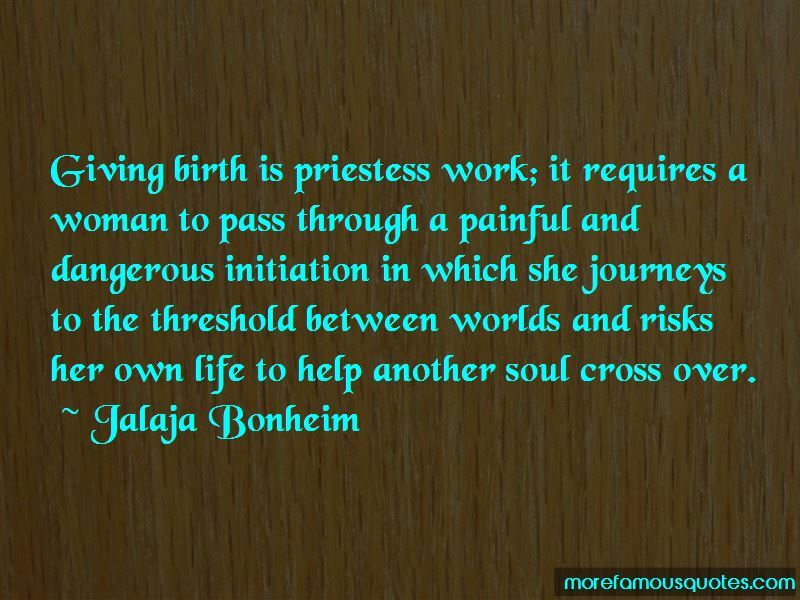 Giving birth is priestess work; it requires a woman to pass through a painful and dangerous initiation in which she journeys to the threshold between worlds and risks her own life to help another soul cross over. 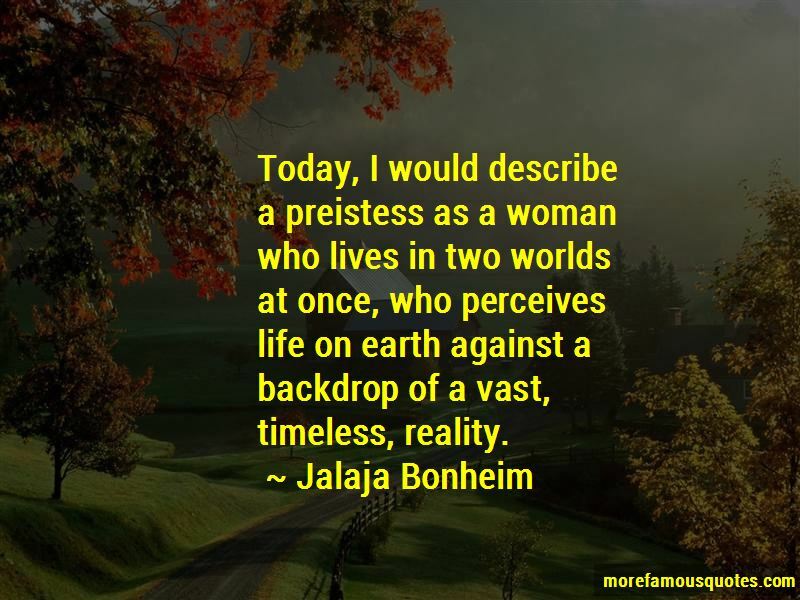 Today, I would describe a preistess as a woman who lives in two worlds at once, who perceives life on earth against a backdrop of a vast, timeless, reality. Want to see more pictures of Jalaja Bonheim quotes? 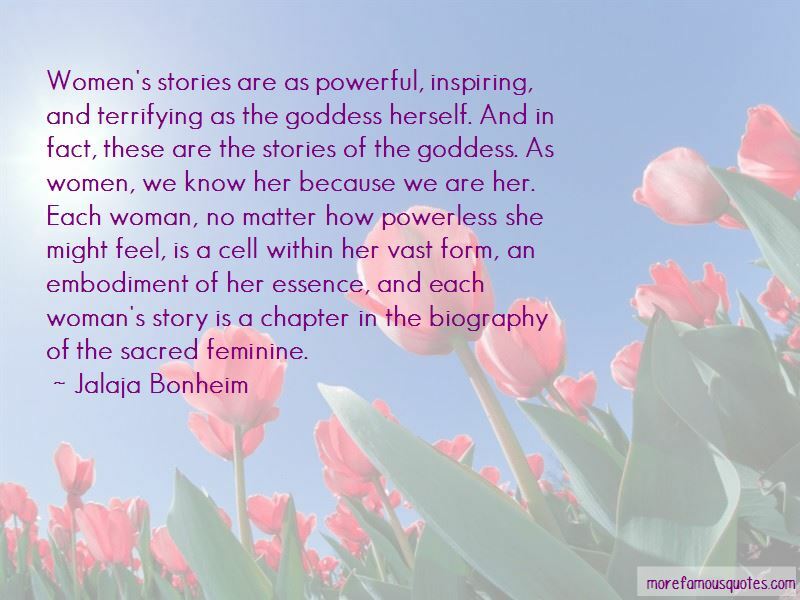 Click on image of Jalaja Bonheim quotes to view full size.